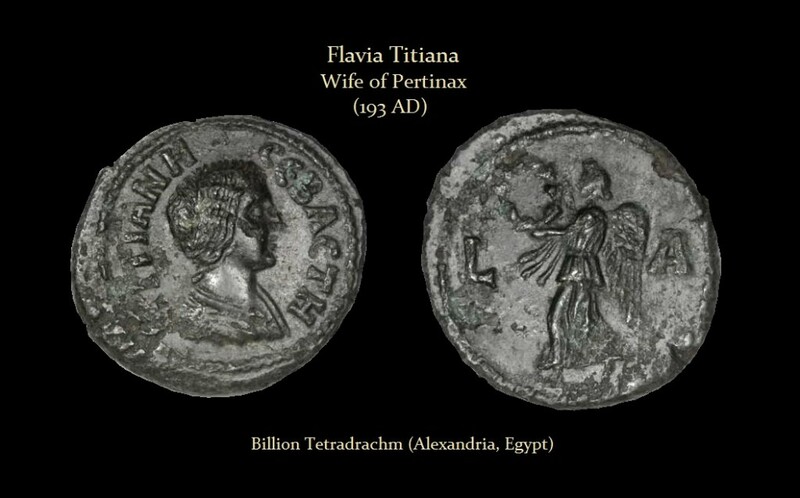 Flavia Titiana was the wife of Pertinax who came to the throne in 193 AD. She was the daughter of Flavius Sulpicianus and bore at least one son,Helvius Pertinax Junior. Unfortunately, after a reign of only 86 days, her husband was murdered by members of the Praetorian Guard. Her fate, following her husband’s murder, is unknown.